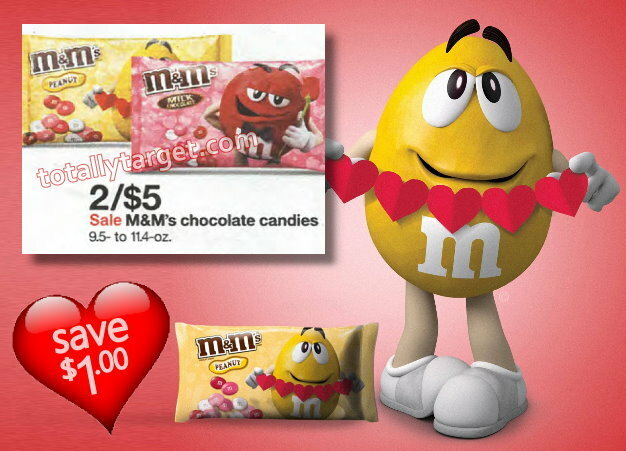 We have a nice new printable coupon available to save $1/2 Valentine’s M&M’s, Dove, Snickers, Twix, Celebrations, Fun Size Exchange Bags (3.7oz+). We also have a cartwheel offer to stack and make for some nice savings…. However, you might want to print and hold this coupon for next week. The cartwheel offer will still be valid, and we have an upcoming sale starting on Sunday, February 10th to make for an even better deal…. This coupon is also valid on Dove promises, which are on sale both this week and next for 2/$7. We have an additional cartwheel offer to stack and make for a nice price….